Why does Spotify want to break free? As we predicted in May 2010, Spotify's free service has been severely crippled again; but if the plan is to drive users to pay for Spotify, it's going about it all wrong. Spotify tells us that its decision to reduce the amount of free music and number of times you can play a single song using its free service will "ensure our users continue to have access to an amazing free experience". Having enjoyed using Spotify for free since 2008, I'm accustomed to listening to as much music as I want, as often as I want, for nearly as long as I want, so I'm not exactly amazed by this new free experience. Sure, I'm looking a gift horse in the mouth here; when it launched, Spotify was a brilliant free service which has always seemed too good to be true, appallingly cheesy adverts and all. But money is obviously not rolling in from the advertising and subscription models, and no doubt there's also pressure from the record companies coming in to play. The notoriously money-grabbing music industry is still scrabbling about trying to make money from this internet thing and is obviously putting a lot of pressure on services like Spotify that appear to give their goods away for free. But do they really think debilitating free services won't drive people back to illegal torrents? No one wants to see Spotify go under, especially at the record companies' hands, but slowly taking away everything that made it such a great service in the first place isn't the way to go. It wouldn't be such an issue if Spotify's premium service wasn't too expensive. "Scrooge!" I can almost hear you crying, "It's only £10 a month!" But, in my view, that's £10 a month to rent music through Spotify, plus however much money I end up paying to buy said music if I like it enough. Some of us do still buy music, you know. Fine, you'd smugly counteract, get the £5 version. That's half the price. Half the price, half the functionality. If I'm paying for the service at all, I want to be able to use it wherever I am and that means on my smartphone and streamed to my wireless speakers, neither of which are possible on the £5 deal. Spotify's problem is that it gave us too much too early – it gave us the whole beach to build sandcastles in and then slowly but surely caged us in to that one crappy bit by the sewer with all the sharp shells and pebbles. What the company should do is change its subscription model; if the full premium service was just £5 a month, there'd be no excuse not to sign up. Who can't spare £5 a month? Surely doing so would more than double Spotify's one million subscription users and create a good feeling about the brand again. Because right now, I'm feeling pretty angsty towards Spotify for gradually taking away my favourite free toys and trying to goad me into paying for them. 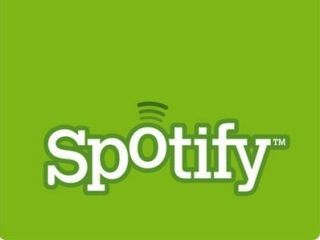 Do you think Spotify is right in changing its free service? Have your say in the TechRadar Poll, situated on the TechRadar homepage.